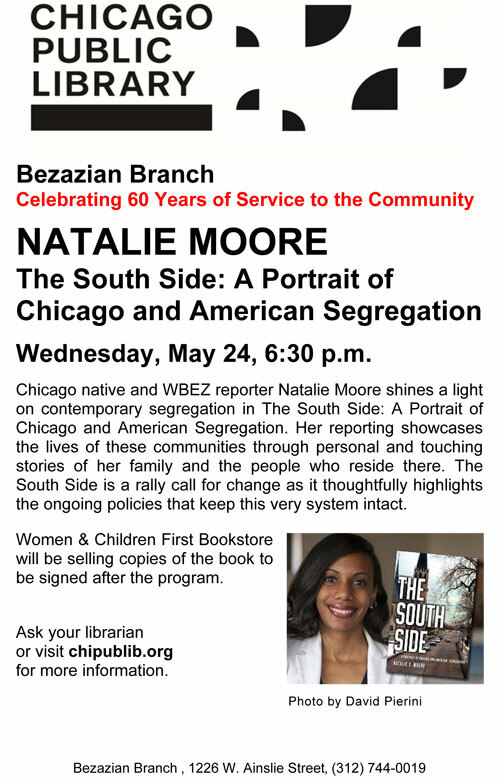 Wednesday night, the Bezazian Branch Library and the Women and Children First Bookstore are teaming up to sponsor a talk with WBEZ reporter Natalie Moore. 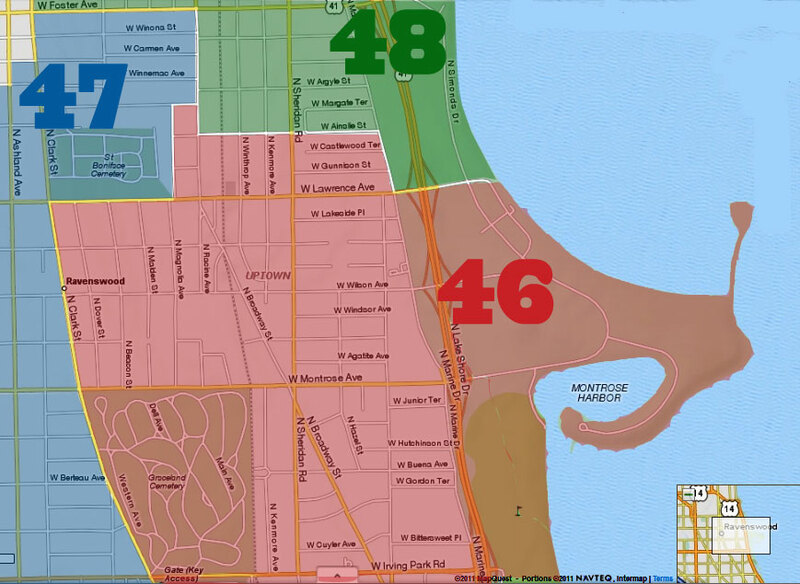 Ms. Moore is the winner of the 21st Century Award from the CPL Foundation for her book The South Side: A Portrait of Chicago and American Segregation, and will be presented at the Carl Sandberg Awards in the fall. Books will be available for purchase from Women and Children First, and Ms. Moore will sign them upon request.